Saudi Gazette, Emirates News Agency (Abu Dhabi, UAE, June 26, 2013) – The Abu Dhabi Fund for Development (ADFD) has signed a Memorandum of Understanding (MoU) on a grant by UAE for Morocco within the framework of the UAE’s contribution to the GCC’s Gulf Development Fund initiative. The UAE’s contribution within this initiative amounts to $1.25 billion (AED4.6 billion), of the total grant value of $5 billion to support Morocco over the next five years, which was previously approved by the leaders of the GCC to be contributed to equally by the UAE, Kuwait, Saudi Arabia and Qatar. Nizar Baraka, Minister of Economy and Finance in Morocco, and Mohammed Saif Al Suwaidi, acting Director-General of ADFD, signed the MoU in the Ministry of Economy and Finance in Rabat. 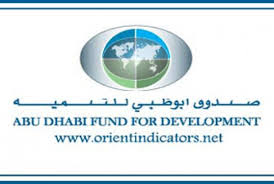 The grant, which will be directly managed by the Abu Dhabi Fund for Development (ADFD), will go toward financing crucial projects which have been carefully selected to support the tireless efforts of the Moroccan government to achieve sustainable development, and raise the standard of living and social and economic status of the Moroccan people. 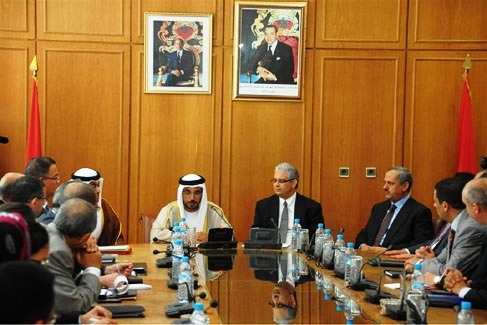 A high-level delegation from the ADFD will hold talks with the Moroccan government to determine the package of projects proposed for funding which fall within the priorities of the development plan in Morocco. These projects are expected to focus on vital sectors in the field of infrastructure, such as education, roads, housing, water, health and social services,” Al Suwaidi stated. Nizar Baraka praised the leadership of the UAE’s role in solidifying mutual cooperation between the United Arab Emirates and the Kingdom of Morocco, and extended his gratitude and appreciation to the UAE for its continuous support and keenness to back the march of development in his country.” The Minister of Economy and Finance in Morocco said, “The grant will effectively support the efforts of the Moroccan government to achieve comprehensive development, which will be distributed to finance a number of important projects that will have a direct impact in promoting economic growth and achieve a quantum leap in the process of social and economic development in Morocco.” He also expressed his high esteem for the efficient role the Government of Abu Dhabi and the ADFD are playing in promoting development in Morocco by funding such vital projects. ADFD involvement in Morocco goes back to 1976, since when the fund has offered loans totalling nearly Dh2 billion, allocated for 11 projects, and managed grants amounted to approximately Dh832 million for 21 projects focused on the sectors most influential in the development process in Morocco. Copyright 2013, Morocco on the MoveThis material may not be published, rewritten, or redistributed. All rights reserved.